The potential for sweeping tax reforms this year casts a giant shadow over tax planning at the end of 2017. Despite the uncertainty, however, you can illuminate your current tax situation by following some basic principles. 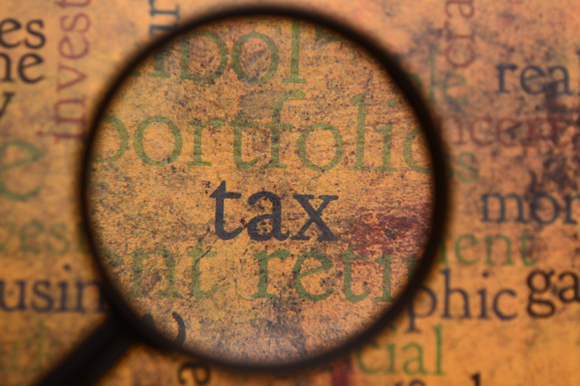 Consider these five tax aspects. 1. Itemized deductions/personal exemptions: With several major tax breaks on the chopping block—including most itemized deductions other than write-offs for charitable donations and mortgage interest—it makes sense to secure all of the personal tax breaks you can get in 2017. Grab what you can, but be wary of the Pease and PEP rules. Under the Pease rule, most itemized deductions are reduced by 3% of the amount above a specified level of adjusted gross income (AGI), but not by more than 80% overall. For 2017, the threshold is $261,500 of AGI for single filers and $313,800 for joint filers. Similarly, the tax benefit of personal exemptions may be affected by a special tax law provision. Under the personal exemption phase-out (PEP) rule, exemptions are reduced by 2% for each $2,500 (or portion thereof) of your AGI exceeding an annual threshold. The PEP thresholds are the same as those for the Pease rule. Keep these two tax rules in mind when planning to claim itemized deductions and personal exemptions in 2017. 2. Net investment income (NII) tax: The so-called NII tax has been a thorn in the side of high-income taxpayers. The provision requires you to pay a 3.8% of the lesser of your NII—which includes most investment income such as capital gains from securities sales—or the amount by which your modified adjusted gross income (MAGI) exceeds $200,000 for single filers or $250,000 for joint filers. If you have potential NII liability in 2017, you could try to reduce your exposure before the end of the year. For example, you might move money into tax-free municipal bonds, or do what you can to keep your MAGI under the threshold. Note that distributions from traditional IRAs and employer-sponsored retirement plans don't count as NII but do increase your MAGI for the year. 3. Capital gains and losses: Traditionally, the end of the year is when investors look to "harvest" capital gains or losses (or both) from securities transactions, depending on your situation. This year is no exception, even with the specter of tax reform. Keep these key tax rules in mind when considering how capital losses can reduce capital gains for tax purposes. Capital losses may offset capital gains plus up to $3,000 of highly taxed ordinary income, such as wages from your job. If you still have capital losses left over, you can use them in future tax years. Short-term capital gains are taxed at ordinary income rates, but long-term gains on securities you've held more than a year are taxed at a maximum rate of 15% (20% if you're in the top ordinary income tax bracket). Even better, for investors in the two lowest brackets for ordinary income, the maximum tax rate on long-term gains is 0%. Keep in mind that a capital loss (short or long-term) may be used to offset a highly taxed short-term capital gain. 4. Bracket management: Managing your income to take advantage of tax bracket specifications can reduce how much you owe. If you fill up lower brackets while minimizing the amount of income taxed at the higher rate of top brackets you may pay less. When shifting income at the end of the year, pay close attention to the rules for long-term capital gains. For instance, if your taxable income is unusually low this year, you might consider taking long-term gains from securities sales that will qualify for the 0% tax rate. 5. Retirement plan funding: Finally, you can reduce your year-end tax bill while also building a nest egg for the future by boosting your contributions to a 401(k) or other retirement plan sponsored by your company. You can defer up to $18,000 of salary to your account in 2017 ($24,000 if you're age 50 or over). Plus, your company may provide matching contributions. In the same spirit, putting extra money into a traditional IRA can also be a great long-term investment. Although those contributions may not be deductible if you earn too much or participate in a 401(k), the money in your account can grow on a tax-deferred basis until you make withdrawals during retirement.